I am a minimalist when it comes to makeup. I dislike the fact that many MUA's use makeup to hide a beautiful face instead of using makeup to just hide the flaws. Makeup is best used to accentuate a woman's features and cover her flaws rather than using it to paint a face . And when it comes to brows many of them shave off and use makeup products to create eyebrows . I am all up to having natural eyebrows and against going way to far in getting them groomed by plucking and shaving the natural ones. A little brow product to just fill in the gaps and whoa you'll have the most naturally looking eyes. One must know that the 'eyes' are one thing that distinguishes one from others and hence eyebrows must be given centre stage. Most of models out there on the runway are famous for their trademark natural eyebrows! The point is let your eyebrows be the way they are and don't go all around shaping them, its best to use a little product to fill in then draw them all over after shaving them into thin strips. Which is why I fell in love with Maybelline's fashion brow duo shaper. Going for a minimalist makeover doesn't mean you go with undone brows as the eyebrows define your whole face. You could either use a gel or an eyebrow powder to fill in the gaps and get that naturally beautiful brows look. But unfortunately India has very scarce brow products and most of the woman end up using a sharp black eyebrow pencil to fill in which looks fake. Thanks to Maybelline for bringing in a eyebrow product that suits most in the Indian skinned beauties that too at a reasonable price. 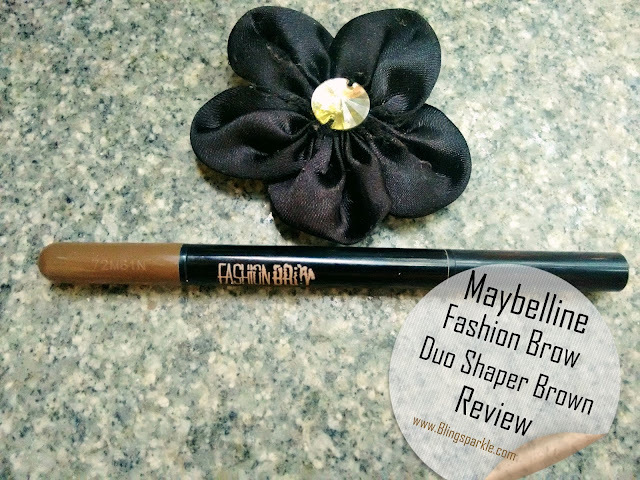 The Maybelline Fashion Brow Shaper Duo comes in a travel friendly packaging. The pencil and powder come in a sleek black plastic pen shaped holder with a color coded cap. 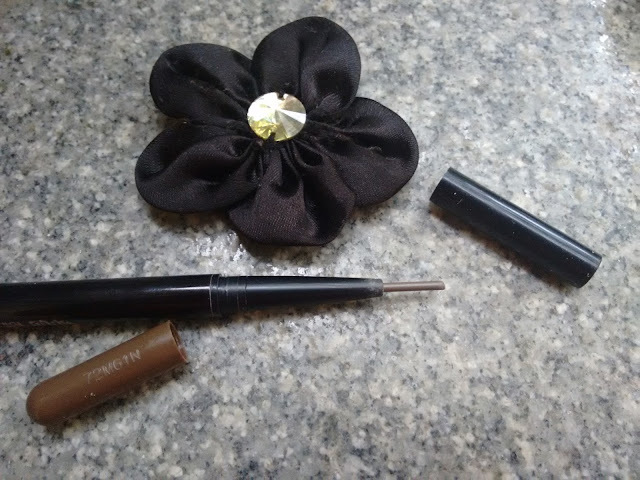 The duo has two ends- one end has a pencil and the other has a sponge that dispenses the brow powder. The sponge side has a screw cap while the pencil side shut -cap . the packaging makes it super easy to carry it in my purse plus its so easy to work with the product when i am outside or even travelling! Has a powdery texture that does not stick to the skin . Blends smoothly but the texture of the pencil is a downer for it is hard to use the pencil. Ligh pigmentation which is a good thing in this case. I picked up the shaper in brown color as i always wanted to try a brown filler for my brows . I have light eyebrows hair and it matched my light brows perfectly. It gave my brows a natural look . 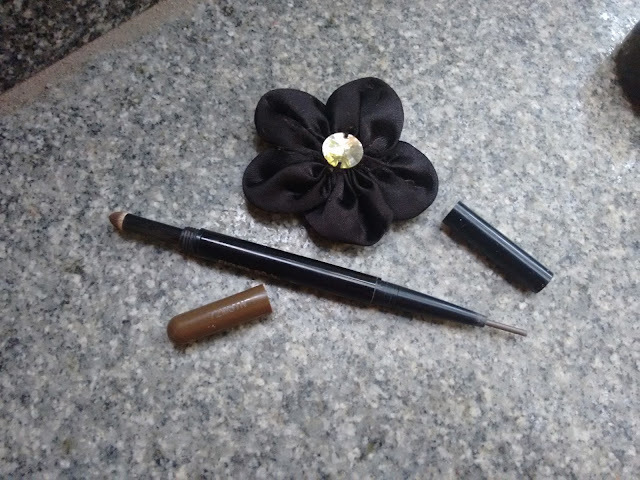 The sponge application at one end has the eyebrow powder and the other end has a pencil to outline your brows which is not much praise worthy as it hardly shows on the brow area. The pencil when used after 3 months started breaking and boy it would break at the slightest tug . But the sponge applicator that dispenses the brow powder is amazing and gives that beautiful look and its a great pencil for beginners. Is a great pencil-powder duo to give that defining arch to your brows . The brown shade will suit almost all skin tones. If you have always wanted natural looking brows that are defined and not stark this is a must buy for you! doesn't burn a hole in your pocket and has great staying power. The powder is velvety in texture and will leave your brows feeling soft ! definitely invest in this brow duo shaper! Less pigmented and hence it is easier to work. Dry texture helps to fill in without much stickiness. Looks natural for everyday wear. Stays put without touch ups for around 8-9hrs. 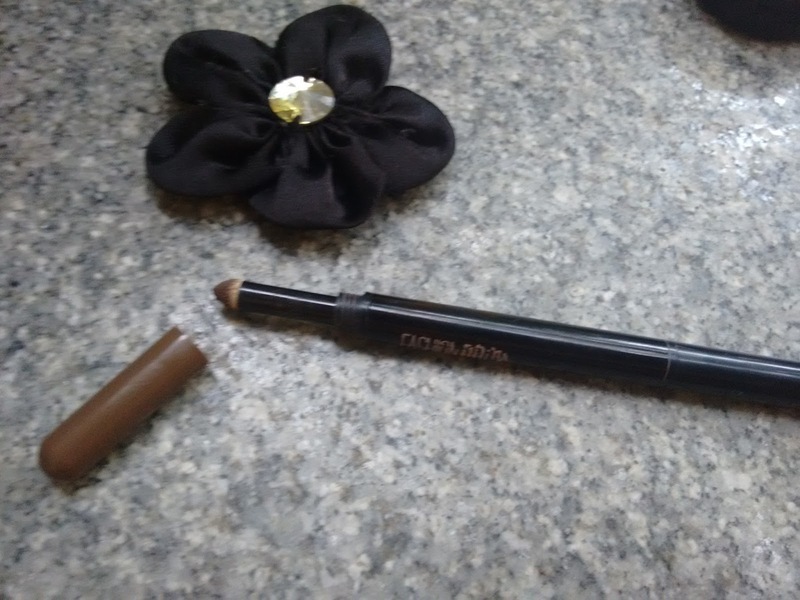 The pencil doesn't blend easily and starts breaking after some time. Maybelline Fashion Brow Duo Shaper is one of the best eyebrow pencils or an eyebrow defining product available in India. With Makeup revolution London, NYX and LA Girl officially being launched in India and their professional brow kits available on Amazon give you scope to shop for high end brands but the eyebrow duo shaper beats all of them when it come to the pricing. The slim shaper helps in defining and filling without giving the eyebrows the stark look as they are little pigmented. This brow shaper has become my best brow defining buddy and I highly recommend it!I personally use it on days when I just need to run errands or as an alternative , other days I would use my essence brow pencil. It has definitely exceeded my expectations. It can shape, define, and fill in sparse brows, resulting to natural looking brows without spending much! For all those looking for a budget friendly eyebrow defining product this is for you guys! Will I repurchase the Maybelline Fashion Brow Duo Shaper? Yes,yes, yes! 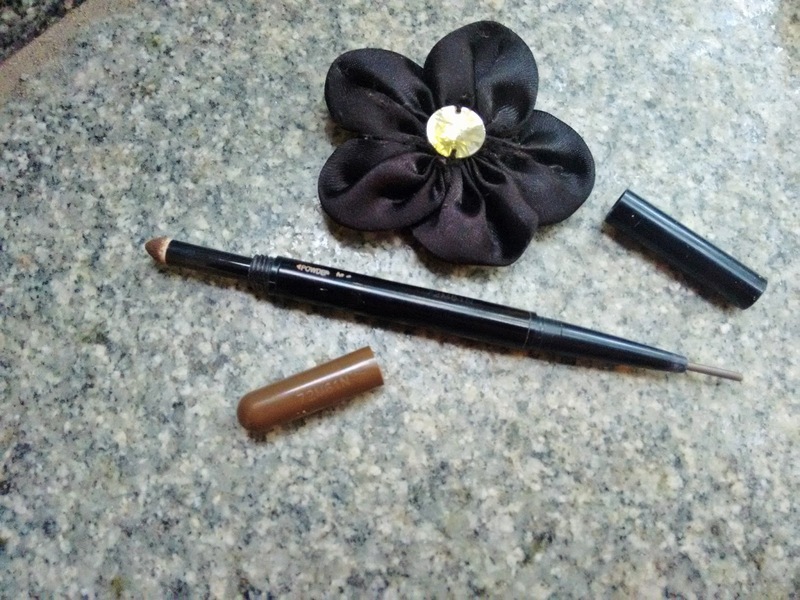 I would repurchase this brow pencil again and again !